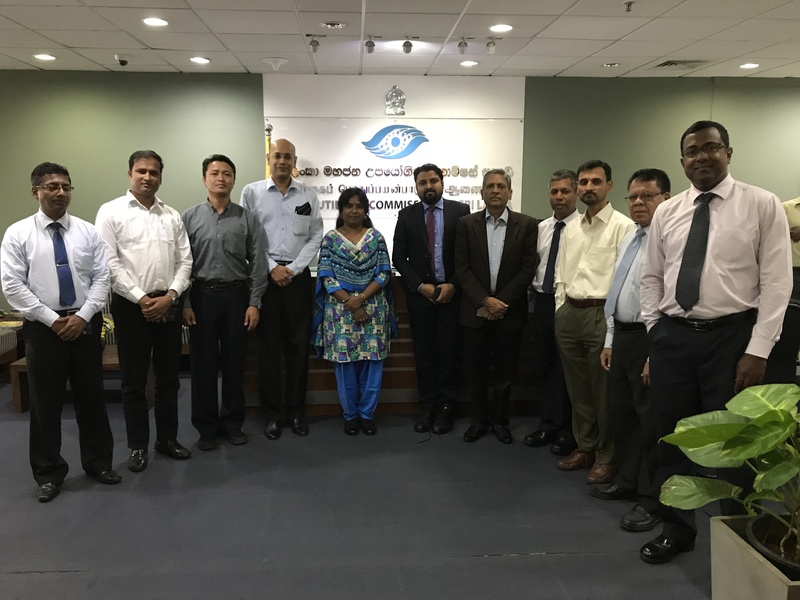 On 16th May, 2018, a Technical Visit to the Office of Public Utilities Commission of Sri Lanka by the Member’s of South Asia Forum For Infrastructure Regulation (SAFIR) Working Group on “Regulatory Cooperation to Facilitate Knowledge sharing, addressing Cross cutting Energy/Electricity Regulatory Issues and Capacity Building in South Asia” was organised . Detailed presentations were made by senior official from Public Utilities Commission of Sri Lanka from different department covering a) Tariff and economic affairs b) licensing c) Regulatory Affairs d) environment, efficiency and renewable. Members interacted and discussed on various topics related to the regulations, rules and guidelines issued by the Public Utilities Commission of Sri Lanka.